The Macomb Daily Blogs: The World According to Mandy: Should 'Grey's Anatomy' be put out of its misery? 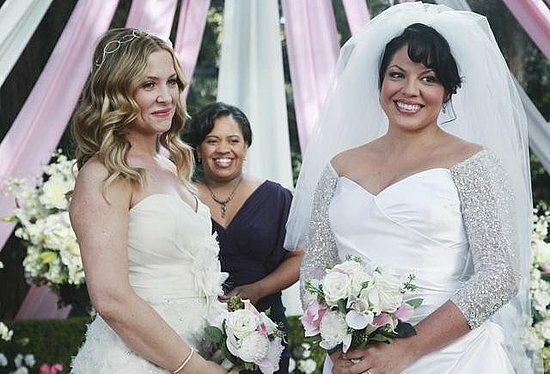 If viewers were expecting anything worth rooting for in the first episode of ‘Grey’s Anatomy’ this season they were sadly disappointed. Arizona had her leg amputated against her wishes. Christina is stuck in hospital hell – with shiny happy people that think she needs an attitude adjustment. Alex is blaming himself for Arizona’s predicament because he was supposed to be on the plane that crashed. Derek fails in his return to surgery and his future looks bleak. Meredith is struggling with the loss of her best friend, grief for her dead sister and something that looks strangely like survivor’s guilt. And Callie? Well Callie is struggling with pulling the plug on her best friend and returning home to the woman that blames her for amputating her leg. Whew. Things are not looking great for Seattle Grace’s finest. ‘Grey’s Anatomy’ hasn’t been “must watch TV” for me since Izzie and George left. Still, there were moments when the show still had life. I’m desperately looking for a spark that shows there’s even a hint of that life left right now, though. Thursday’s episode goes back in time and lets viewers see what happened from last season’s finale until this season’s premiere. In other words, we get to revisit the plane crash scene. I’m going to tune in Thursday out of sheer curiosity – and Eric Dane’s final appearance – but whether I’m staying after that is anyone’s guess. I'm leaning towards "no," though. I find I’m having trouble mustering up the energy to care about these characters anymore. I have never liked Meredith. I know she’s the main heroine, but she’s my least favorite character. And, while I love Ellen Pompeo as a person (I’ve seen her in a quite a few interviews) I think she’s a fairly poor actress. I don’t get the Derek love (never did). He's a hair cut and nothing else. Patrick Dempsey was much more likeable to me as an actor during his 'Can't Buy Me Love' days. I’m beyond caring for Bailey (although she did provide the only laugh in the season premiere). The Chief is no longer the heart of the hospital. Owen is lost. Kepner is one of the most annoying characters ever put to the small screen. Avery is hot but vapid. And the new interns? I don't find one of them interesting. Pretty much Christina and Alex – and the two of them can’t save the show for me. I know it’s only a matter of time before Christina returns to Seattle Grace. Keeping her separated from both Owen and Meredith is a waste of the character. Still, she feels like an island to me right now. And Alex? I love the Alex character but I can’t become invested in a love interest for him. Ever since the poorly executed Izzie exit (really, she should have died and went to Heaven with George) I haven’t been able to engage in any love stories he is involved it. It hasn’t helped that he has been saddled with a steady stream of duds. I will remember the first five seasons fondly – and try to forget the rest that have followed. What is really irritating me is that I don’t watch that many shows on Thursday so this doesn’t help out my cramped television watching schedule. I need something on Mondays and something on Wednesdays (especially since ‘Supernatural’ got moved there) to start sucking. That’s a whole other blog, though. What do you think? 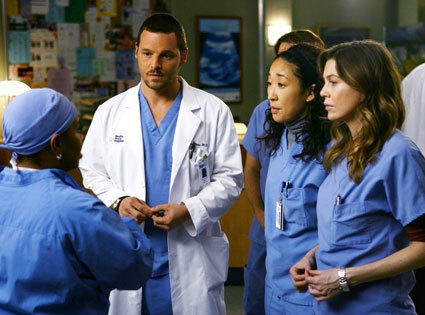 Are you giving up on ‘Grey’s Anatomy’? Is Survivor past its prime?